Psychic Development, Guided Meditations & Self Care Practices For A Joyful Life! Discover your inner power! Do you want to escape the stress of your busy life rejuvenate to inner peace, change the way you feel about yourself, something everlasting? Do you want to discover the 'secret ingredients' allowing you to fully explore your natural intuitive abilities to enhance your psychic and spiritual awareness? Then this retreat is for you! More information about Kim click here! For more information or booking, please email to info@ourspiritualworld.co.uk Location: on the the island of Sant’ Antioco in a charming little town of Calasetta in Sardinia. The 3* hotel is only 500 yards from the unspoilt natural beach. Your room is set in a semi-circle around the swimming pool and the landscaped gardens. The hotel has an intimacy and a tranquillity imbued by the sound of the sea and the sunsets to restore mind, body and spirit. Date: 12th-19th of June 2018 Are you ready for your Spiritual Awakening? Whether you are a beginner or advanced level, Over this week period Kim will assist you on your soul's path, on your spiritual journey. You will cover many fun and profound esoteric exercises to enhance your psychic abilities. Exercises: - Clairvoyance (vision) - Clairsentience (feelings) - Clairaudience (hearing) - Intuition (impressions) - Prophecy (premonitions) - Chakra alignment - Deep uplifting guided meditations - Meeting your spirit guide - Past lives - Power animals, goddess, angels - Auras - Healing - Crystals - Grounding and protection - Cutting cords to relationships and healing the inner child All the workshops are in the mornings. 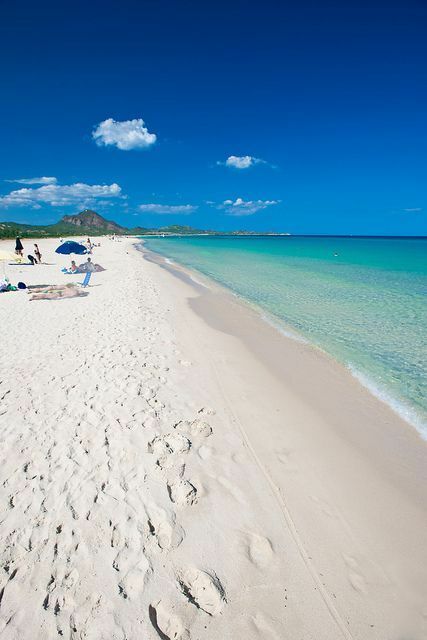 You will have plenty of time for pampering yourself, relax around the pool, feeling the warm sunshine on your skin while lying on the beach, taking an adventure at a rural landscape, bike rides and ferry excursions for sightseeing trips to other parts of the island or trip by taxi into Calasetta town for the mouth-watering Sardinian cuisine to savour! For more information or booking, please email to info@ourspiritualworld.co.uk Learn, relax, make friends, unveil a fresher, stronger, vibrant new you! For detailed program and prices please scroll down! Retreat Program Day 1. Learning about the aura, chakras, energy and crystals with guided meditation Day 2. Spirit guides meditation and tarot readings. Day 3. Crystal guided meditation, psychometry (objects) readings. Day 4. Past life regression guided meditation, psychic creative writing. Day 5. Guided meditation your power animals, psychic drawing, psychic messages. Day 6. Meditation to angels & priestesses, healing old wounds - mother, father, siblings, meditation for manifesting abundance. DAY 7. Learning from and healing romantic relationships, romance tarot readings, mediumistic spirit connections. YOUR INVESTMENT £950 Bank transfer- 30% deposit payable by 20th March non- refundable, full payment by 1st May. What's included; Hotel accommodation bed & breakfast. Workshops. Transport to and from Cagliari Elmas Airport. SHARING TWIN BEDROOMS. SINGLE ROOM SUPPLEMENT 28 Euros per night. Beach towels Beach bed & umbrellas. Bikes Shuttle to the beaches; free service for three nearest beaches and Calasetta town. Free Wi-Fi Not included; Flights EasyJet, Ryan Air, British Airways fly to Cagliari Elmas Airport. Flights, insurance to be arranged by yourself. Taxis to UK airports. All restaurant lunches, dinners and beverages. All ferry & boat excursions. Day trip on yacht-lunch-snorkeling 70euros, spa day Hotel Lu 38 euros, wine tasting evening, kite surfing/surf paddle boarding, archaeological museum trip. Foundation Level Hypnosis Course Are you curious and passionate to learn about Hypnosis? If so, then this Training course is suitable for you. You don’t need any previous knowledge of other therapies but if you do, hypnosis can be added to your skill set. Also, this is the first step if you wish to start the Diploma in Transformational Regression Training. The Foundation Level Hypnosis course offered by Cara – the Centre of Transformation and Empowerment has been Assessed and Accredited at Foundation Level by the General Hypnotherapy Standards Council (UK). The course is run by Doug, who is a fully qualified hypnotherapist with a practitioner diploma in hypnotherapy from the London College of Clinical Hypnosis and he is also member of the British Society of Clinical Hypnosis (BSCH) and the General Hypnotherapy Register. A CERTIFICATE IN HYPNOSIS is awarded to the student on completion of: • 5-day training workshop • 2 x 2 hours online tuition • All written and reading assignments • Producing a self-hypnosis or relaxation recording • Providing written summaries of 5 client case studies. Successful graduates are eligible for registration with the General Hypnotherapy Register (the GHSC’s Registering Agency) at Affiliate Status. Date: 18-22 April Location:Chalfont St Giles, Buckinghamshire For further info or booking your place please contact us at info@ourspiritualworld.co.uk More information about Doug click here! Transform Your Relationship with Money- 2 days’ workshop Money isn’t everything in life…. This 2 days intensive workshop has been designed to help break through any blocks you may have with money and help to transform your relationship with it immediately, so that you can start bringing positive changes into your own life. We will do lots of practical beneficial exercises on the workshop plus plenty of theoretical understanding for you to work with and then integrate it into your life. We will start you on the path for your inner work and at the end you will be leaving the course with some of the transformational tools to work with on an ongoing basis. 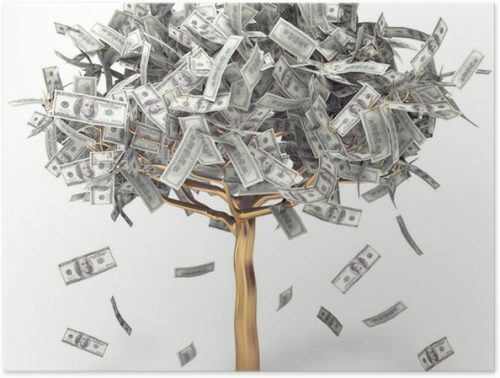 Does money grow on trees? Yes, but you need to be prepared to harvest them. Come and join me on the workshop on 7th and 8th of April and let’s harvest together! Location: Chalfont St Giles, Buckinghamshire For further info or booking your place please contact us at info@ourspiritualworld.co.uk More information about Doug click here!